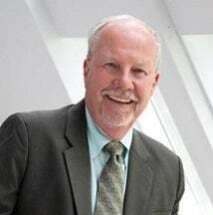 Mr. Pearson has 40 years' experience in business law, business management and consulting. He has received a Martindale-Hubbell top [email protected] rating for attorneys and is President of Pearson & Paris, P.C., a prestigious Colorado law firm which emphasizes commercial transactions and litigation, real estate, banking, insurance and recreation law. Mr. Pearson has an extensive background in business transactions and litigation and he routinely advises on matters related to both. He founded the RiverReach Youth Initiative (now know as cityWILD), an organization that helps young people gain a sense of responsibility to their community and environment, rewarding participating youth with recreational outings. He holds a B.S. and Juris Doctorate degrees and lectures frequently in the areas of business and related liability issues including recreational liability. He is also a past contributing editor for Adventure Travel Business Magazine and the American Bicyclist. Acquisition of Dynamic Plastics, Inc. and Mulay Plastics by Xpectra, Inc.
Kabool Electronics Co., Ltd. Investment in Caleb Technology Corp.
March, 2007 – Opening New Doors to the Outdoors, Golden, Colorado. Presenter on increasing involvement of youth in outdoor recreation. April, 2006 - Recreation and Adventure Law and Liability, Denver, Colorado. Presenter regarding Declaratory Judgment Actions, Insurance Coverage and Statutes of Limitation issues in recreation law litigation. April, 2005 – Recreation and Adventure Law and Liability, Denver, Colorado. Presenter regarding compensation issues in the Adventure and Recreation Industry. Also discussed emerging issues in recreation law cases. April, 2004 – Recreation and Adventure Law and Liability, Denver, Colorado. Presenter regarding staffing issues in the Adventure and Recreation Industry. January, 2004 – Adventures in Travel Expo, New York, New York. Presenter regarding risk management and insurance issues for the travel and tourism industry. April, 2003 – Recreation and Adventure Law and Liability, Vail, Colorado. Presenter regarding entity formation, tax issues and effectively selecting and working with an advisor team. February, 2001-2002 - International Adventure Travel and Outdoor Show, Chicago Illinois. Presenter regarding risk management for the adventure travel industry. September, 2000 - World Congress on Adventure Travel and Ecotourism, Anchorage, Alaska. Speaker regarding risk management and insurance issues for the travel and tourism industry. May, 1999 - Academy of Hospitality Industry Attorneys, Denver, Colorado. Presented seminar regarding travel issues for the attorney in the hospitality industry. March, 1997 - Teaming for Success: A Forum on Sport Tourism, The George Washington University, Washington, D.C. Speaker regarding business organization, risk management and insurance. December, 1996 - America Outdoors Conference, Jekyll Island, Georgia. Presentation of America Outdoors Business Operations and Compliance Manual. September-October, 1996 - Interbike, Anaheim, California and Philadelphia, Pennsylvania. Speaker regarding risk management, liability and employment law issues to world's largest trade show for the bicycle industry. August, 1996 - Western Association of Athletic Clubs, Copper Mountain, Colorado. Speaker on employment law issues for athletic clubs. June, 1996 - National Outdoor Industry Rendezvous. Colorado Springs, Colorado. Moderator of panel on liability issues for manufacturers and providers of recreation products. December, 1995 - America Outdoors Conference. Reno, Nevada. Speaker regarding hiring and termination of employees. January, 1995 - Outdoor Retailer Winter Market. Reno, Nevada. Speaker on employment law for outdoor retailers. November 1994 - National Institute of Accountants. Hobart, Tasmania, Australia. Keynote speaker regarding economic benefits of tourism. November 1994 - World Congress on Adventure Travel and Eco-Tourism. Hobart, Tasmania, Australia. Keynote presentation on economics and eco-tourism. Chairman and speaker on issues related to liability of adventure tour operators. October 1994 - U.S. Department of Agriculture. Denver, CO. Speaker on outdoor recreation programs for disadvantaged young people. May 1993 - International Forum of Travel and Tourism Advocates. Honolulu, Hawaii. Speaker and consultant on liability issues related to international tourism. February 1993 - Colorado Outdoor Recreation Project. Denver, CO. Speaker regarding the role of non-profit organizations in promoting recreational activities and tourism. February 1989 - OmniBancorp Conference. Denver, CO. Speaker and counsel on issues related to banking liability. Chairman of The cityWILD Rendezvous, a charity event which has raised more than $350,000 for inner city young people in the Denver, Colorado metropolitan area; 1999 - 2011. Former Contributing editor and columnist - American Bicyclist Magazine. Former Contributing editor and columnist - Adventure Travel Business Magazine. Selected to Who’s Who in North America: 2010 – 2013. Selected to National Directory of Who's Who in Executives and Professionals; 1994 - 2008. Drafted tort reform legislation limiting liability of river rafting outfitters in Colorado; January, 1994. Featured in a television program production for The Environment and Recreation; October 1993. Selected as an expert on recreation law to appear on the nationally televised premier show of Miller's Law; March, 1993.